Bouteloua filiformis (E. Fourn.) Griffiths, Atheropogon filiformis E. Fourn., Bouteloua bromoides Lag., Bouteloua heterostega (Trin.) Griffiths, Dinebra repens Kunth, Eutriana heterostega Trin. 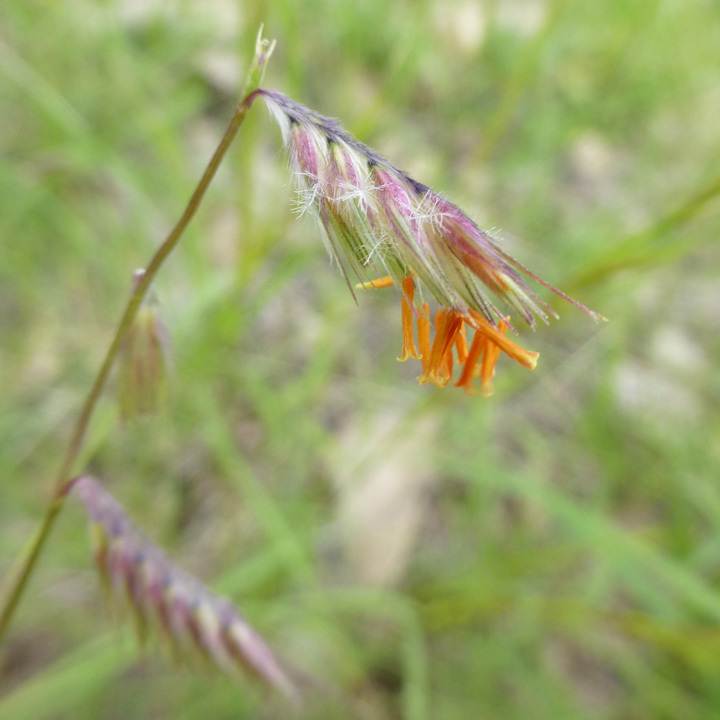 Slender grama (Bouteloua repens (Kunth) Scribn.) is a pasture grass from the dry subtropical and tropical regions. Bouteloua repens is a cespitose, tufted or clustered perennial grass. It is a non-woody, non-rhizomatous and non-stoloniferous species. The stems have a variable habit and can be prostrate, decumbent or erect. The culms may be 15-65 cm in length and those that bear inflorescences are less than 1 m high (Bogler, 2010; Clayton et al., 2006; Quattrocchi, 2006). The stem internodes are hollow and the nodes are swollen. Bouteloua repens may root from the lower nodes and branch from the upper nodes of the culms (Wipff, 2003). The leaves are mostly borne on the lower half of the stems. Leaf blades are narrow, 5-20 cm long, 2-10 mm wide. They can be glabrous or pubescent on their surface, and leaf margins are hairy at their base or for their full length (Bogler, 2010; Clayton et al., 2006; Quattrocchi, 2006). The inflorescences are borne at the end of the stems. The central axis is about 4-14 cm in length and bears 2-12 one-sided, 2.5 cm long racemes. These racemes are deciduous and they drop when the spikelets are mature (Bogler, 2010; Gould, 1979). 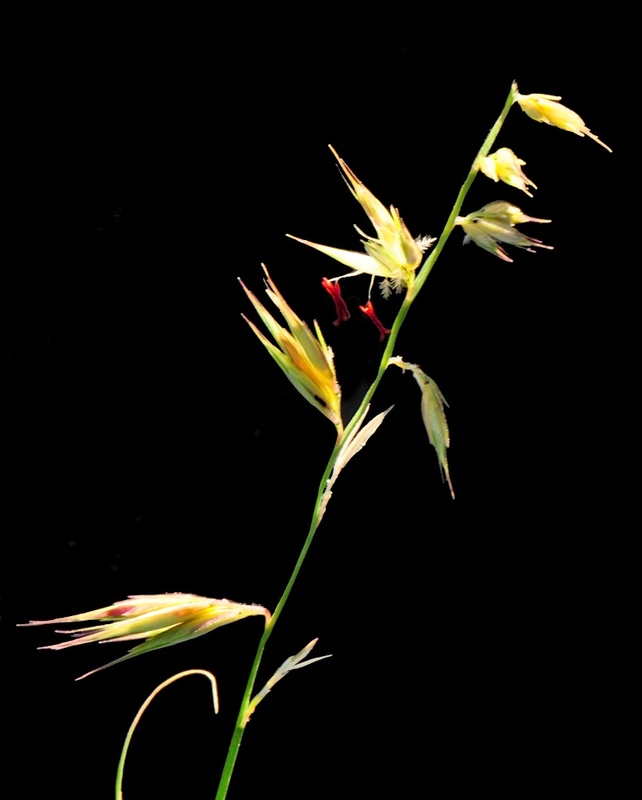 The 2-8 (-20) spikelets borne on the racemes are bisexual, solitary and less than 3 mm wide. Fruits are an ellipsoid, oblong caryopsis, 3-4 mm long, green in colour. They are longitudinally grooved (Bogler, 2010; Clayton et al., 2006; Quattrocchi, 2006). 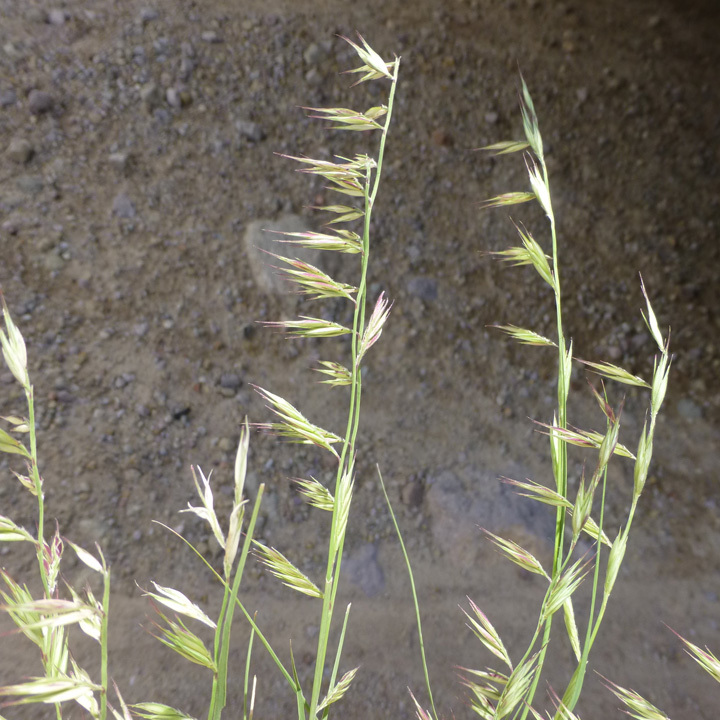 Slender grama is a forage species relished by ruminants (Herrera Arrieta et al., 2010). The native range of Bouteloua repens extends from the South-Western USA through the Caribbean islands, Mexico, and Central America to Colombia and Venezuela (Wipff, 2003). It is found in open and dry areas, on hills, slopes, dunes and low dunes, ocean shores, and on many soil types (Quattrocchi, 2006; Wipff, 2003). It is a dominant grass in natural vegetation of old sisal plantations in Yucatan, Mexico. It is a native species of the desert grasslands of Arizona (Angell et al., 2001). Slender grama grows within an altitude of 600 to 2000 (-2500) m (Herrera Arrieta et al., 2010). It can grow on many types of soils from sands to red sandy loams (Everitt et al., 1980). In Colombia, the yield of slender grama pastures ranged from 0.43 to 1.47 t DM/ha during the rainy season and from 0.52 to 1.32 t DM/ha during the dry season (Chamorro et al., 2005b). In Yucatan, Mexico, slender grama and other native species are used for goats in fields formerly containing native henequen (Agave fourcroydes). Slender grama was the most productive species (0.23 t DM/ha) under these conditions (Rios et al., 1985). Slender grama is a low quality forage. In Colombia, its protein content is low, ranging from 4 to 5% of DM in the dry to rainy seasons, respectively. The protein content also decreased as the forage matured (Chamorro et al., 2005a; Chamorro et al., 2005b). Although it is an important species in natural pastures in some regions of Mexico, Colombia and South-Western USA, information on the use of Bouteloua repens is scarce. In vitro DM digestibility of slender grama was reported to be about 70% (Chamorro et al., 2005a). Rumen flora from indigenous cows that were used to graze slender grama was more effective in degrading slender grama cell walls than rumen flora from exotic breeds (Ossa et al., 2003). In South Texas, USA, slender grama and 5 other grass species grown on the red sandy loams of South Texas were grazed by cattle. It was recommended to provide supplementary protein and K during winter and P, Mg and Na throughout the year (Everitt et al., 1980). In Colombia, zebu heifers (215 kg) grazing a slender grama pasture with legumes (9 to 28%) had a DM intake of 1.44 and 1.12 kg/100 kg body weight in the wet and dry seasons, respectively. Daily weight gain ranged from 319 to 588 g/d in the wet season, and from 113 to 378 g/d in the dry season. In the dry season, animals maintained their body weight while pasture yield was low, probably due to the presence of the legume species (Chamorro et al., 2005b). No information on the use of Bouteloua repens in the feeding of domestic rabbits has been found in the international literature (January 2016). Nevertheless this grass may be a potential source of forage for rabbits since in the wild it represents about 7% of the diet of the local jackrabbit (Lepus flavigularis), in the Tehuantepec area in Mexico, during both the dry and wet seasons (Lorenzo et al., 2011).